Best water-slide decal paper paper with the highest quality. 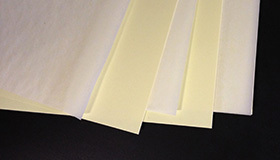 Extremely thin, hence perfect for any printing system. Available in A3 and A4 format. 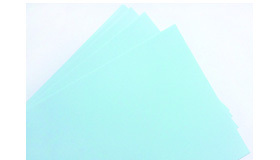 Economical all-round water-slide decal paper. Available only in the size 300 x 400 mm. Not to be used in Canon series CLC 11xx. 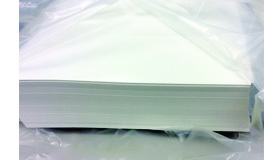 High-quality decal paper with medium weight. Easy to handle and suitable to all coating methods. MZ-Cal has with excellent release characteristics and is available in A3 and A4 format. Pre-lacquered water-slide decal paper on which is possible to print directly. Designed for universal applications with liquid cover coat and magenta classic set. Only for objects with flat or regular shape. Designed for applications with our selenium and magenta lead free sets. 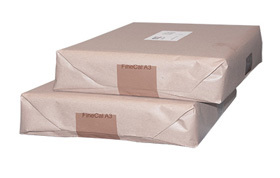 Pre-coated decal paper Covercal without flux and suitable for all our fluxed ceramic toners. 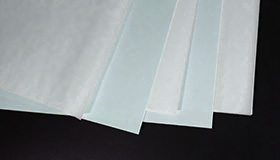 The accessories that can be used both in ceramic and glass application strongly affect the final result. 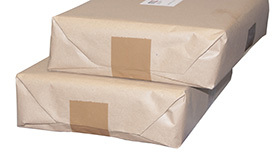 Transfer paper (decal paper) is available in several thicknesses and surface roughnesses. We have tested a variety of types which are compatible with mz Toner Technologies ceramic toner.